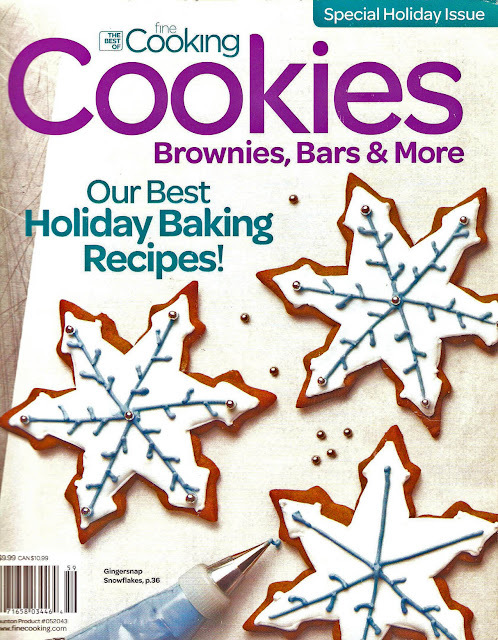 One of my favorite cooking magazines had a special issue for the holidays with cookie and a few cupcakes, and some candy recipes. I subscribe to several food magazines or read them on a regular basis, but Fine Cooking is hands down my favorite. Don’t let the name scare away you beginning cooks. The recipes are all doable, really good and the directions are clear, concise and they work. My all time most requested cookie recipe is from their magazine. Chewy Cranberry Oatmeal cookies are really, really good. The recipes I have made from this special issue rank right up there with the Cranberry cookies. There is something for everyone who likes to bake. While I am not posting them, I have made the homemade marshmallows from this magazine. You will not believe how different they taste from store bought and how easy they are to make. I do hope some of you will try the cookie recipes and try the magazine. I am sure you will enjoy both. They also have a good web site, www.finecooking.com.